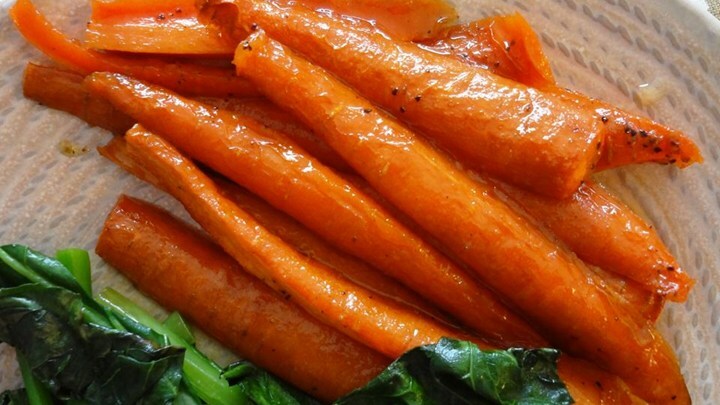 Place the whole carrots into a baking dish, and drizzle with olive oil. Mix until the carrots are completely covered with olive oil. Pour on the honey, then season to taste with salt and pepper; mix until evenly coated. Bake in the preheated oven until just tender, or cooked to your desired degree of doneness, 40 minutes to 1 hour.